I’m intrigued by the idea of guest bloggers. So often I’ve read a blog and thought to myself, “I’d love to have a go at guest blogging there!” But, dude, you gotta get asked. So no guest blogging for me. But maybe someone might like to guest blog here? I thought I’d start the guest blogger ball rolling with a search for a guest blogger of my own here at Enlightened Horsemanship Through Touch. Most of you out there in the inter-ether are lurkers. How do I know this? I don’t have a crystal ball, but I do have my handy dandy wordpress stats and by them I know how many are visiting and where you are in this big, wide world. The thoughts, opinions, experience and know-how of horse people all around the world is both valuable and fascinating. If you think you have nothing to say that anyone would be interested in, you’re probably wrong. We wanna know! So here’s the deal: I’m looking for a guest blogger to write a piece here at Enlightened Horsemanship Though Touch on December 1, 2008. The subject matter: horses. That’s it. No need to write anything about massage, TTouch, mindfulness, or any of the other topics near and dear to my heart. The point of a guest blogger is to get another point of view. Search/Sweepstakes winner receives a prize. Deadline for submissions: November 14, 2008. How to enter the search? 1. Post about this search in your own blog. Spread the word to friends who don’t blog. You never know where there’s a closet writer just itching to hit the keyboard. 2. Reply here to this post letting me know that you’ve posted. 3. Write a few words telling me why you’d like to guest blog here. If you’ want to let the world and my readers know you think I’m full of manure, that’s a good reason. If you’d like to tell a story, a joke, complain, whatever, now’s the chance to do it on somebody else’s space. 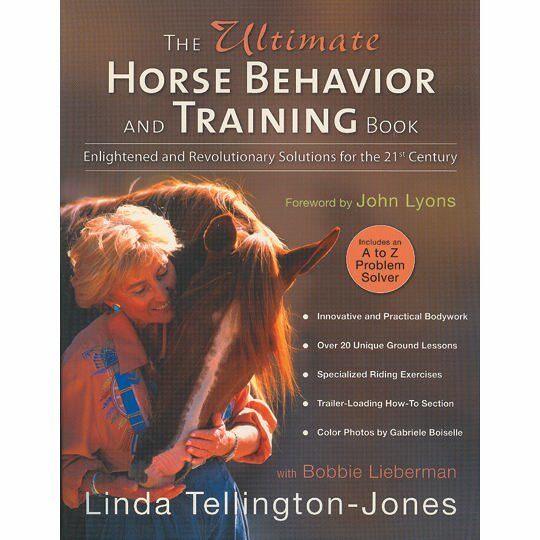 And for the sweepstakes winner, a copy of my favorite book, The Ultimate Horse Behavior and Training Book by Linda Tellington-Jones and Bobbie Lieberman. Autographed by Linda Tellington-Jones. I’ll play! Still pondering the details, but I’ll keep you posted. 😉 What’s the deadline? I will be THRILLED to read all about it! I too know a woman in Connecticut who does this and at the end of the long training, she and her students put on a performance–very artistic–involving swinging through the air on flying trapezes and Freisian horses. Dynamic, elegant, heartfelt and very touching. You remind me that I need to re-connect with her and write about this subject. I really look forward to reading your post. Okay, I posted about your contest. I have an idea – I am interviewing a woman on Sunday who does a really interesting kind of energy work and dance-derived training with horses and people. She has been doing this for many years, and uses the technique for team-building retreats for non-horse people as well as teaching horse people the methods as a way to develop their relationship with their own horse. I think it would be a super fit with your blog (even though that is not a requirement for the contest), and I think a lot of your readers would find it very fascinating. Yay! The potential for more Global Horse Culture!